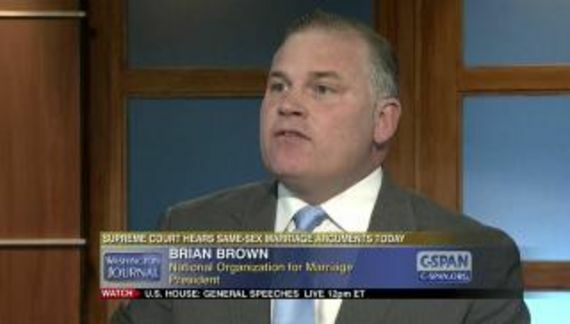 Southern Poverty Law Center considers American Family Association an anti-LGBT hate group. If AFA came to their senses tomorrow and acknowledged that gender identity and sexual orientation are natural variations of human sexuality; if they rescinded their moronic boycott of Target; if they hired a transgender vice president — they would still be a hate group. We can reasonably assume that posts to AFA's phony news blog reflect the sentiments of the organization's leadership. The personnel who write these posts are people who conform to AFA's organizational culture. When they quote people who are not directly affiliated with AFA they do so because they approve of the commentary. The blog is not informational; it is propaganda to advance the agenda of American Family Association. 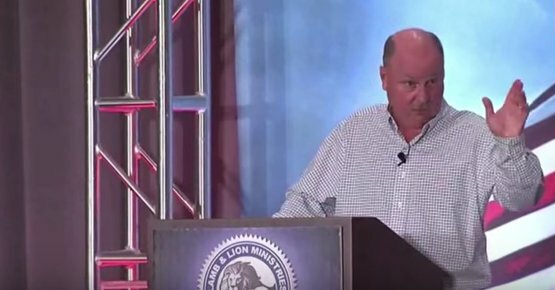 Sam Rohrer is president the American Pastors Network, which contends there is indeed an Islamic strategy to collapse the Church in America – and the advancement of the "Interfaith Movement," he says, is one tool to accomplish that end. Rohrer points to programs called "A Common Word" and "Shoulder to Shoulder" as examples. A Common Word seeks common understanding. Muslims learn about Christianity and Christians learn about Islam. Even the pope is an advocate of A Common Word. Shoulder to Shoulder is an anti-discrimination campaign. AFA perceives that to be a threat. They do not want common understanding and they do not want Muslims to be shielded from discrimination. Friday provides another form of discrimination from AFA: Spencer: 'Multi-cultural' hire got innocent woman killed. A vocal critic of radical Islam is convinced that the City of Minneapolis is trying to cover up its actions after the 2017 shooting death of a woman by a Somali-born police officer. So Noor is a radical Islamist? Is every Muslim a radical Islamist? The victim's family, which has filed suit, is demanding answers and Robert Spencer of Jihad Watch tells OneNewsNow there are many unanswered questions. "The real story in this seems to be that this cop was hired because he was a Muslim, and because the Minneapolis Police Department and City of Minneapolis wanted to show how wonderful multi-culture they were," Spencer complains. Muslims pose a threat to innocent people. Gay men pose a threat to innocent young boys. Transgender women pose a threat to innocent little girls. AFA promotes all three of these memes which is why they are designated as a hate group to begin with. The common thread is that people AFA does not approve of are a danger to innocent and vulnerable people they do approve of. The folks at AFA are cynical. They know that their incurious constituency wants to hear what they want to hear. The propaganda (in this case, anti-Muslim) doesn't have to be intellectually honest or even factually correct. AFA has an agenda to promote. American Family Association executives frequently claim that conservative Christians are victims of religious discrimination. Yet they are promoting discrimination against other religions. Pick at the scab of Muslim discrimination and you will find latent anti-Semitism. I recall that they attacked Yoga as an extension of Hinduism. AFA has an agenda. One of the purposes of Christian Nation™ mythology is to assert that the First Amendment guarantee of Free Exercise only applies to Christians. The religious freedom that they always claim they are fighting for — which usually means the freedom to discriminate against people they disapprove of — only applies to Christians. Christians have a right to discriminate against others. Their understanding of the First Amendment supports that right. They will tell you that the Constitution gives them the right to discriminate. The right that they are describing is Christian Supremacy. It includes the subset of Christian privilege. It has a hair's distance from Christian Identity which is associated with hate groups like the Klan. Christian Supremacy is a doctrine. It is a structured belief system. Gays, Trans people and Muslims do not pose a danger. American Family Association is the real danger. They and others are promoting a doctrine that is un-American. The tragedy is that, in some quarters of our society, they are successful. The hyperbole raises money. More importantly it provides a path to subscribing to Christian Supremacy one post at a time. Telling people who to hate and who to be afraid of is part of a larger belief system.